At least five foreign-born cases of multi-drug resistant TB were diagnosed in Philadelphia over the past three years, according to the Philadelphia Department of Public Health Tuberculosis Control Program. One case of the foreign-born ‘MDR’ TB was diagnosed in the city hosting this week’s Democratic National Convention in 2015, two were diagnosed in 2014, and at least two were diagnosed in 2013, though that number may be as high as three or four. No U.S.-born cases of MDR TB were diagnosed in Philadelphia during these three years, according to the report. The Philadelphia Department of Public Health was not able to identify the status of these five foreign-born cases of MDR TB—whether they were refugees, illegal aliens, or foreign-born legal residents of the United States. “We have no information on immigration/refugee status of foreign-born persons,” a spokesperson for the Philadelphia Department of Public Health tells Breitbart News. MDR TB is the very dangerous variant of TB that takes up to two years and $150,000 per patient to treat, and then may have a survival rate as low as 60 percent. Active TB that is not drug resistant, on the other hand, and has been successfully treated using a standard four drug regimen for the past fifty years. It currently takes six to nine months and approximately $17,000 per patient to successfully treat a case of active TB. According to the Philadelphia Department of Public Health report, “Summary Surveillance Data: 2015,” 1.4 percent of the 71 active TB cases diagnosed in 2015 were foreign-born MDR TB (1.0 cases), and 2.6 percent of the 78 active TB cases diagnosed in 2014 (2.0 cases) were foreign-born MDR TB cases. Of the 89 active TB cases diagnosed in Philadelphia in 2013, 4.1 percent were foreign-born MDR TB (3.6 cases), according to the report. Lacking further clarification from the Philadelphia Department of Public Health, this would suggest the number of foreign-born MDR TB cases in 2013 was either three or four. That data, however, is not consistent with an earlier Spring 2014 newsletter from the Philadelphia Department of Public Health, which stated that there were two MDR TB cases in 2013. The discrepancy in the accounting for the number of foreign-born MDR TB cases in Philadelphia in 2013 may be explained by the fact that some active TB cases diagnosed in 2013 were not subsequently diagnosed as MDR TB until 2014. When asked by Breitbart News, the Philadelphia Department of Public Health did not confirm the MDR TB data presented in its reports. “The Disease Control [department] said that they do not have TB staff available today to confirm [MDR] case counts,” a spokesperson for the Philadelphia Department of Public Health tells Breitbart News. In most cases, the $150,000 per patient treatment cost for MDR TB is not borne privately by the patient, but instead is paid for by local, state, or federal taxpayers. A case of MDR TB diagnosed in one refugee in Wisconsin, part of an active TB outbreak of nine total cases (only one of which was MDR) in 2013, forced the state legislature there to appropriate an additional $5 million for local treatment. Breitbart News asked the Philadelphia Department of Public Health who paid for the $150,000 per patient treatment required for all five of these MDR TB patients over the past three years, a total of $750,000. “The price tag of $150,000 is a worst-case scenario. That is not our usual cost. We would estimate usual cost as $5,000-10,000,” a spokesperson for the Philadelphia Department of Public Health tells Breitbart News. “[The] City pays for all TB medications. Yes, the City delivers treatment, called DOT for Directly Observed Therapy,” the spokesperson says. News of the high rate of MDR TB in the host city comes as the Democratic National Convention convenes to nominate Hillary Clinton as the party’s candidate for president. Clinton is a pro-immigration candidate who wants to increase the number Syrian refugees coming into the U.S. by 500 percent. There were only 91 cases of MDR TB in all of the US in 2014. (These five in Philadelphia are over 3 years, 2013 to 2015). 89 percent (80 out of 91) of these MDR TB cases were foreign born. To date, MDR TB has been a problem primarily in other parts of the world, where 480,000 cases were diagnosed in 2015. That may be changing, as foreign-born residents flood the United States. 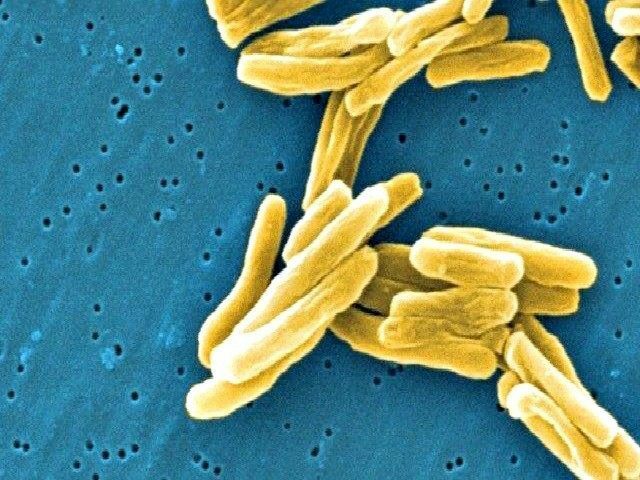 The Centers for Disease Control (CDC) has not yet released 2015 data for MDR TB, but if preliminary data obtained by Breitbart from seventeen states where at least 65 cases were diagnosed is any indication, the 2015 final count may well reveal an increase—perhaps a significant one—in the number of MDR TB cases diagnosed in the U.S. The operation of the refugee resettlement program in Philadelphia is somewhat unusual. Formed in September 2010, the Philadelphia Refugee Health Collaborative (PRHC) is a regional coalition consisting of Philadelphia’s three refugee resettlement agencies and eight refugee health clinics. The core mission of the Collaborative is to create an equitable system of refugee health care in the Philadelphia region that ensures a consistently high standard of care for all newly arrived refugees. Each year, PRHC provides domestic health screenings, primary care (including newborn, pediatrics, adult medicine, geriatric, obstetric and gynecologic care) and access to laboratory, radiology and subspecialty services to 800 newly arrived refugees. PRHC also provides ongoing primary care and women’s health services to established refugee patients. In 2015, 2,764 refugees arrived in Pennsylvania, approximately 800 of which were resettled in Philadelphia. The six leading countries of origin for refugees resettled in Pennsylvania in 2015 were Bhutan (637), Congo (466), Burma (396), Somalia (376), Iraq (267), and Syria (112). Of these six countries, three–Congo, Burma, and Somalia—are considered high burden MDR TB countries by the World Health Organization. Overall, the rate of active TB in Philadelphia declined over this three year period, from 89 in 2013 to 71 in 2015. The disproportionate number of MDR TB cases in Philadelphia, however, is cause for local concern. With a population of 1.5 million, the five cases of foreign-born MDR TB over the three year period means the city had one case of MDR TB for every 300,000 residents over that time frame. This contrasts unfavorably with the national rate over the same time period. With 96 cases of MDR TB nationwide in 2013, 91 in 2014, and an educated guess of 100 in 2015, the total number of MDR TB nationwide between 2013 and 2015 is estimated to be approximately 287. With a nationwide population of 323 million, that means the country had one case of MDR TB for every 1.1 million residents over the three years from 2013 to 2015. Philadelphia’s rate of MDR TB over this time period is at least three times greater than the national average. The number of active TB cases in Pennsylvania declined slightly in 2015, in contrast to the country as a whole, where the number of active TB cases increased in the United States by 1.7 percent in 2015, up to 9,563. It was the first time in 23 years that the number of TB cases in the United States increased. “The number of tuberculosis cases in Pennsylvania decreased from 208 in 2014 to 200 in 2015, which represents a 3.8 percent decrease,” according to the Pennsylvania Department of Health. Over the past thirty years, foreign-born cases of TB as a percentage of total cases in the U.S. increased dramatically—from 22 percent in 1985 to 66 percent in 2015. During that same time period, the foreign-born population has increased by 31 million—from 11 million in 1985 to 42 million in 2015. The links between foreign-born residents of the U.S. and increased rates of active and latent TB have long been known in the medical community. Foreign-born entrants to the United States–refugees, illegal aliens, and “other” legal foreign-born entrants–come from countries whose populations experience active TB at rates that range from ten to one hundred times more than those in the United States. As Breitbart News has reported extensively, resettled refugees develop active TB subsequent to their arrival in the United States at a rate much higher than the U.S.-born population. Foreign-born entrants to the United States also arrive with high rates of latent TB. The latent TB infection (LTBI) rate among the general population is approximately 4 percent. Worldwide, LTBI rates average 33 percent. Refugees, illegal aliens, and legal foreign entrants to the U.S. have LTBI rates in the 33 percent range, depending on country of origin. Though in general about ten percent of those with LTBI develop active TB, the activation rate among foreign-born entrants to the United States appears to be higher. Future trends in TB in the US depend on TB control success among foreign born and high risk groups. Accelerating declines in TB cases will require substantially expanded LTBI treatment, strategies targeting imported infection, or novel approaches for addressing LTBI burden. Breitbart News requested further information on active TB, MDR TB, and latent TB infection rates among refugees resettled in Pennsylvania between 2011 and 2015, of both the Pennsylvania Department of Health and the Philadelphia Refugee Health Cooperative (PRHC) but received no information from either organization prior to the publication of this story.